While the Camino de Santiago has many positive, both cultural and touristic and economic interest, it points the fact is that everything that happens around the road is not good. 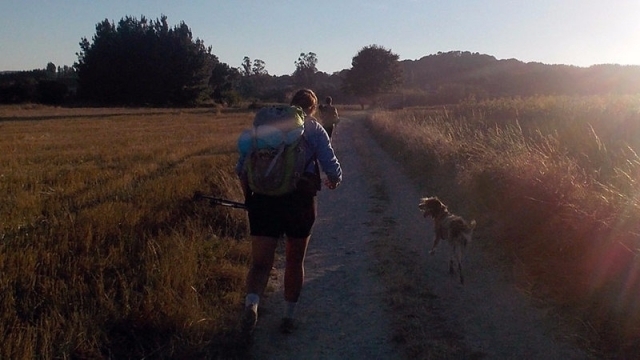 One of today's major concerns in which many organizations are now setting their sights, is the abandonment of pets along the Camino de Santiago. Especially there is a major problem of abandoned dogs in the Jacobean Route, whose numbers increase with each passing day. Therefore, the Humane Association of the Camino de Santiago (APACA), which exerts its work in Arzúa nonprofit, has recently opened a signature campaign on the portal 'change.org' to seek the support of citizens and public bodies "we do not have any institutional support and we need help because our ability overflows," say those responsible for this organization. The campaign has already collected more than 70,000 signatures. There are two main problems in the Camino de Santiago Way, according APACA. First the abandonment of animals and, second, an unconscious of some pilgrims who allow dogs in their wanderings keep them away from your home and disorienting the animal practice. Often these dogs lack identification chips. "Together we will ask the City Council of Arzúa and the Xunta de Galicia to ensure a collaborative work between institutions and APACA" comment in its campaign to obtain signatures responsible for this association, they have seen little interest from authorities local. 0 reviews Distance to Santiago: 39 km.